It’s no coincidence that during the first part of this week’s Doctor Who, I started thinking about The Iron Giant. Specifically there’s a scene at the end of The Iron Giant where the shattered leviathan lies strewn and scattered across the world, having been partially incinerated in an atomic blast, only for its fragments to jiggle and wobble and then gravitate towards the disembodied head, buried in the ice like a decapitated Statue of Liberty, gradually and painfully reassembling. Assuming you’ve seen the New Year’s special – particularly its opening scenes – you will know why this moment sprang to mind. You will also remember that The Iron Giant was about an unorthodox family dealing with advanced alien technology and military bureaucracy, at which point the analogy more or less breaks down. But still. The jiggling components remain: a loose collection of nuts and bolts knitted together into something that shouldn’t make sense, and yet somehow does. 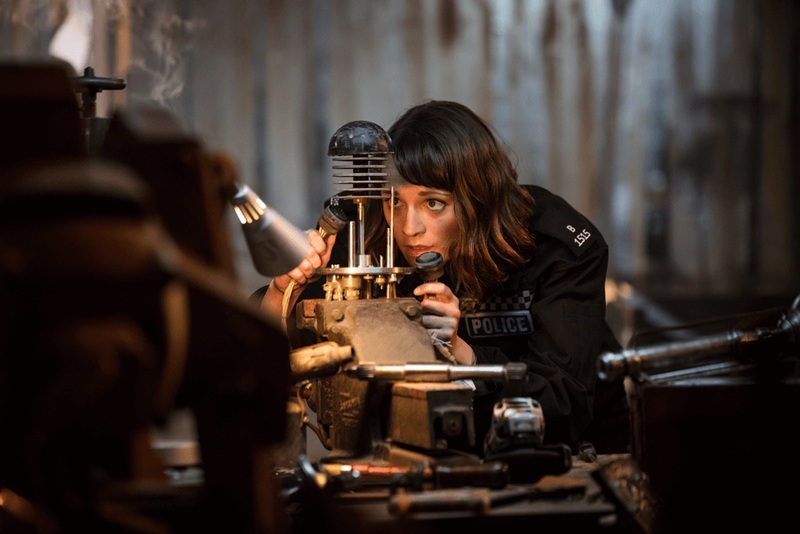 Resolution is ostensibly a remake of Dalek, which was in itself a remake of Jubilee, making it a cannibalised slip of a thing: a hotchpotch of ideas and themes that crawls from the belly of post-hangover prime time entertainment like something that doesn’t know quite what it wants to be. 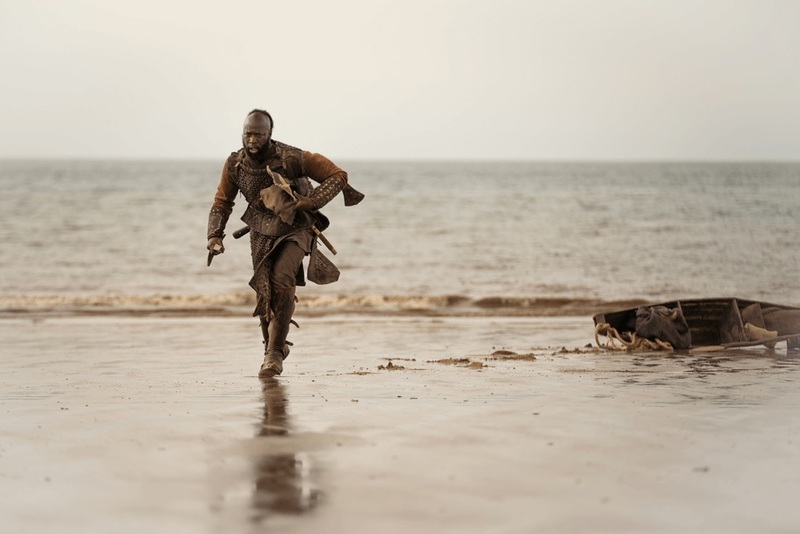 Part domestic, part love story, part Nationesque action adventure, part sprawling epoch-jumping drama, it has a go at everything, trying on a variety of outfits over the course of its hour-long running time, and just about gets away with it. The result is a light, airy affair, with discussion points kept to a minimum. The links to Dalek, for example, are slighter than they may appear, and are largely about setup rather than thematic elements – being restricted solely to the concept of a lone, conveniently superpowered travel machine that has been cut off from its fleet and is understandably desperate to phone home. But Dalek – whatever Russell T. Davies may want to tell you – was never about introducing Terry Nation’s finest to a new audience. It was about reinventing the damned thing so it was improbably potent, and simultaneously drawing a huge number of parallels with the man who was trying to kill it. In many ways, it was a strange choice for a first Nu Who Dalek story: this creature that was more like the Doctor than anyone had previously cared to admit, setting the stage for a dozen similar confrontations over the next decade, all saddled with the curse of diminishing returns. There is none of that here; no soul-searching from the Doctor, save a couple of hurried lines – Whittaker confessing, over furrowed brow, that she “learned to think like a Dalek a long time ago”, before seeking affirmation from her companions that she’s given the Dalek sufficient warning before trying to melt it with bits of an oven. 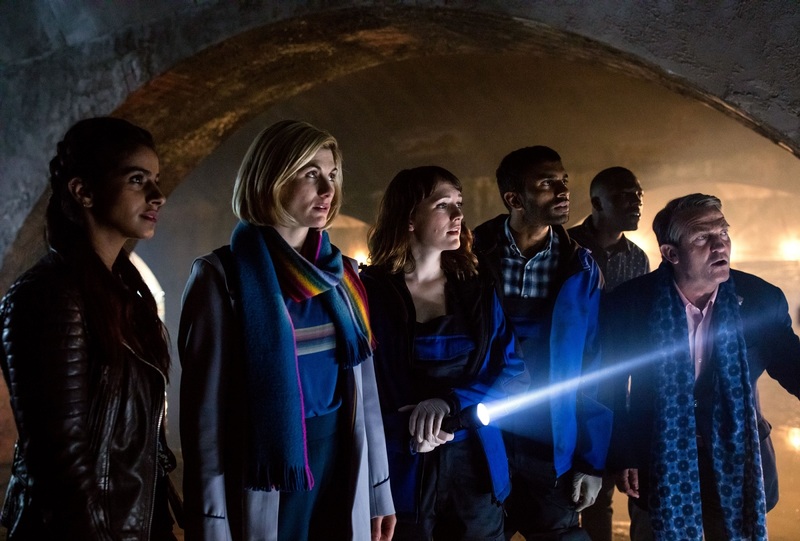 This is, once more, a story about family, Chibnall sidelining some of his characters during the episode’s downtime so that they can deal with personal issues. 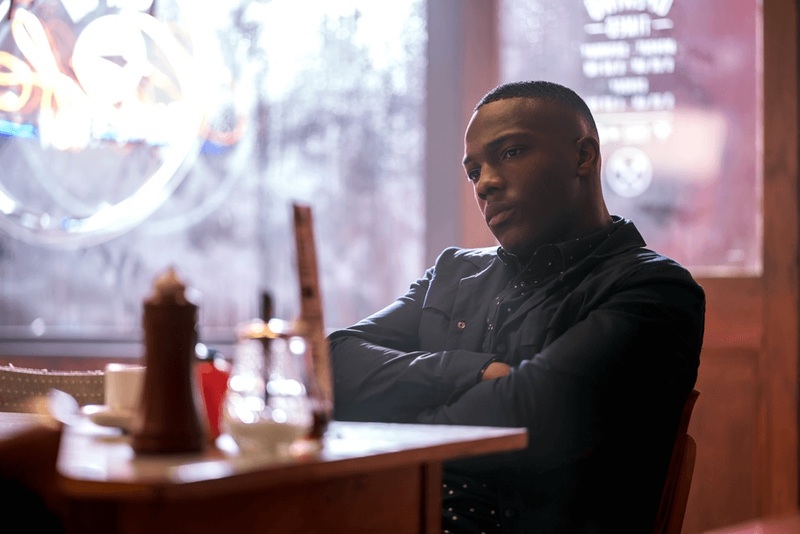 Early on, Ryan – who apparently can’t decide whether to call Graham ‘Gramps’ or ‘Grandad’ – takes his estranged father (Darren Adegboyega) to a familiar-looking cafe so that they can not quite bond, Aaron’s prepared monologue about running from your mistakes apparently falling on deaf ears. A few minutes later, Graham has a go, with considerably more success, although the net result is unavoidably cloying. 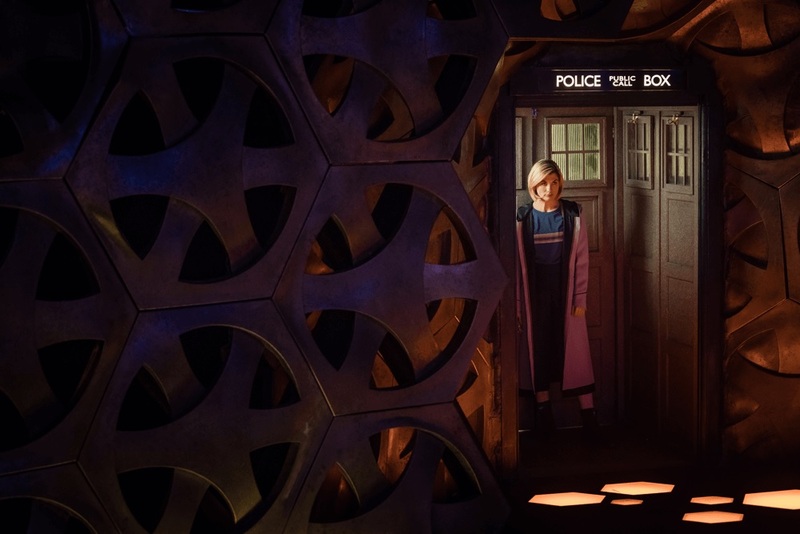 They make for the weakest moments in an otherwise decent script; it’s not that Chibnall can’t write domestic, more that… actually, look, Chibnall can’t write domestic. On the other hand, neither could Davies; Camille Coduri just about walked out of Series One with her dignity intact but Love and Monsters was – for all its other brilliance – simply embarrassing at times, at least when Jackie was on screen. Moffat wasn’t much better, decorating his heartfelt monologues and teary exchanges with a barbed wit and layered emotional pathos that frankly never felt real or authentic, becoming the sort of approach that outstayed its welcome long before the man who actually turned in the scripts. Is it fair to say that Doctor Who’s family scenes only really work when they happen off-screen? Perhaps it is. Perhaps we’re being overly harsh. Nonetheless, it is the family scenes that grate this week, and it’s a pity in a way that the story’s climax hinges around the possibility that we might lose a supporting character who was there largely to provide narrative closure and a convenient (not to mention clumsy) plant and payoff. 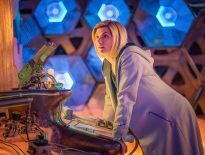 That this doesn’t happen – the seemingly inevitable self-sacrifice of Aaron postponed, at least for a year or two – is, at least, quietly refreshing, even if Ryan’s old man is far too happy to accept that his son travels the cosmos in a flying police box with a whole tick sheet of BBC diversity rendered flesh. Elsewhere, there’s the usual fan-baiting. The Doctor waxes lyrical about her own father, in a deliberately ambiguous exchange that provides a Rorschach of possibilities. Ryan is ‘a kid with dyspraxia’. There is also a line about Rels that had me on the floor. Still, you feel as if you’re being toyed with, each new location that the tentacled parasite visits providing a potential hotspot for the inevitable reunion with its casing. Surely it’s buried somewhere in UNIT headquarters? No, there is no UNIT – the taskforce conveniently sidelined as a result of Brexit-inspired shenanigans – and the nation that held its breath when Kate Stewart’s name was mentioned can let it out again in a hiss of disappointment, and then nip back on to iPlayer to watch The Power of Three. Somehow, none of it matters. This is as high octane and blazing as we’ve got this series – and even if that’s not a great deal, it somehow feels like enough. 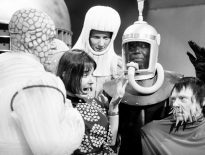 Whether it’s the galactic firework display that opens the narrative, the TARDIS crew standing at the doorway wearing expressions of unbridled, childlike joy; Segin Akinola’s pleasingly retro score; the numerous offscreen adventures the Doctor and her companions have been having that will have fan fiction writers reaching for notebooks… just the sheer joy of the thing, it all zips by in an hour of silliness, a metal dustbin doing ridiculous things before getting covered in lashed-together circuitry in a scene worthy of Scrapheap Challenge. It feels like the most overused monsters in the canon are fun again, and for all the clunky dialogue and jokes about the internet and narrative shortcomings (are we really supposed to be worried about the fact that the Dalek is about to call a fleet that isn’t there? ), this is that rarity in Nu Who: an episode that I not only enjoyed but would actually watch again. Twice Upon A Time had us asking whether there could be any such thing as a good Dalek, when perhaps the question we ought to have been asking was whether, in today’s day and age, there could still be any such thing as a good Dalek story. 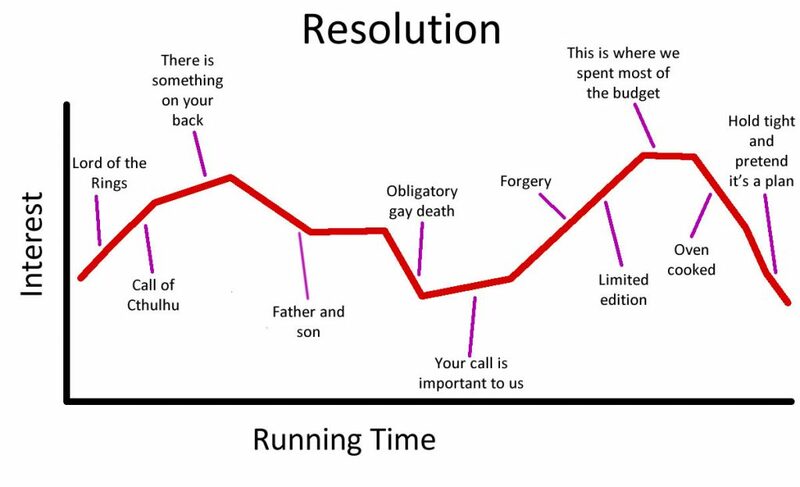 If Resolution proves anything, it’s that the answer can be ‘yes’. It wasn’t as good as The Iron Giant, but that’s OK. Nothing is. ← What Did You Think of Doctor Who: Resolution?